Voice acting advice from Billy West! 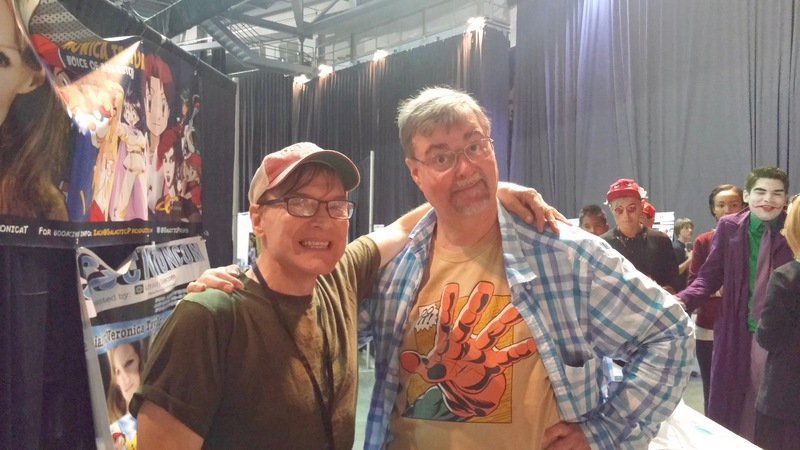 At Sacramento Con, at the autograph area, I met Billy West of Futurama fame (Philip J. Fry, Professor Farnsworth, Dr. Zoidberg, Zapp Brannigan). I told him I am doing character voices for my story readings, and I asked for advice. Billy talked to someone else about combining two actor voices to make another voice. I should try that sometime. Hope I don’t break something. P.S. I’m not much for autographs, so I paid Billy for a photo with him. Autograph tables are part of the capitalist system. I will perform “The Sinister Soul Surfer” tomorrow! 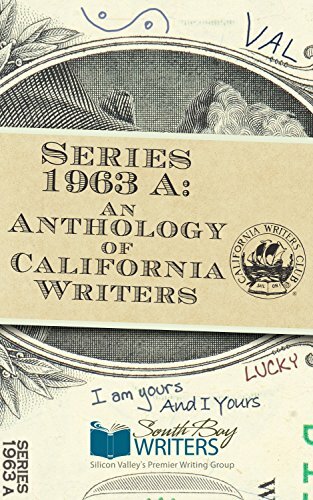 Sunday August 28 at 2pm, at the Belmont Library, 1110 Alameda de las Pulgas, Belmont, CA, the Peninsula branch of the California Writers Club is celebrating six years of the Fault Zone anthology. The authors in the latest Fault Zone (theme: Transform) will read their short stories and poems. Can Cal free Holly without Bobby using Holly’s super-strength to smash him into an Intellecta-pancake? Drop by tomorrow at 2 and find out! Same Intellecta-time, same Intellecta-channel! Mary Jane Watson and one little drop. That bugs this 60 year old white fart, I mean fanboy. I didn’t hear those drips, I mean fanboys, whine about Iris West being black in The Flash TV series. Maybe because I was bouncing off the ceiling in ecstatic fanboygasms because Law & Order’s Ed Green was her dad and I still bounce whenever he’s onscreen! In a totally hetero way, of course. They didn’t whine much about Halle Barry playing Catwoman. I whined a lot about that movie in my first online review. It wasn’t about race, I just HATE when movies use zero percent of the source material! They didn’t whine about Khan Noonien Singh being white in the Star Trek reboot (making Ricardo Montalbon thrash wildly in his grave). I noticed that whitewash. Khan was from Asia. He ruled over a big chunk of Asia. He was NOT a British colonizer, his dictatorship was home-grown! Stan Lee is fine with Zendaya. So stop whining, you one drop drips! By the power vested in me by over half a century of fanboyism, I hereby declare that any fanboy who whines about Zendaya is Scrappy-Doo screwy! Get a load of one of her super-selfies! To the guy who will play Spidey: Face it, tiger, you just hit the jackpot! P.S. Provided Mary is written and played to be the strong, independent, edgy girl she is in the comics. We’ll see. P.P.S. 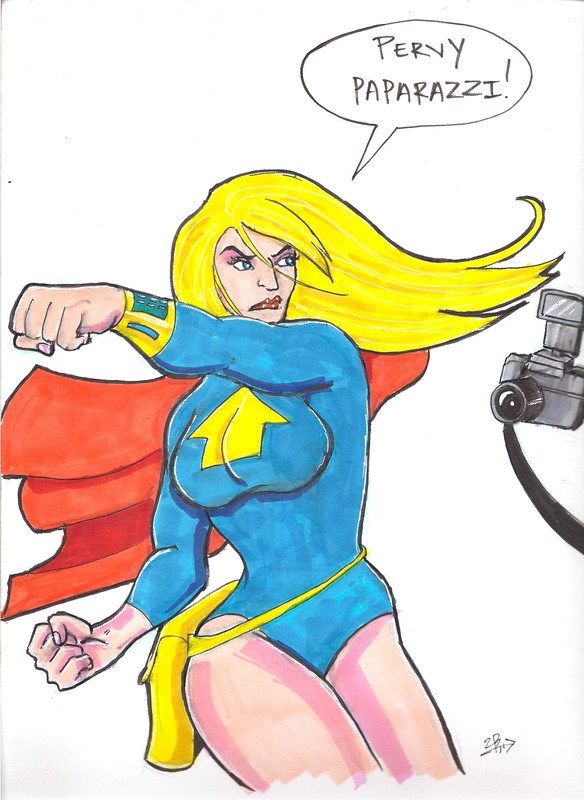 My sister-in-law’s mom told me that my superheroine Holly Hansson should be a redhead because of Holly’s hot temper. I admit I’d like to see red hair on Mary Jane. No problem. Dye it! Kristen Durst did. I got him right where he wants me! The Hugo awards (the People’s Choice awards for science fiction) went to a lot of women and people of color this year, regardless of the whining of the sad and rabid puppies. SF fandom swatted the puppies even harder this year than last year. Analysis of my Awesome Audio! After I received 20 copies of my Createspace book, Super Holly’s Super Bad Hair Day (two short stories and chapter zero of The Comic Book Code) for the Fremont Book Signing, I wanted to add a CD to each book for artwork, ebook files (mobi and pub and PDF), and audio files of me reading each story. I’ve done open mics for years, should be easy, right? Here is what I learned. Voice over the top! I do all the voices for all the characters. Holly is my voice while I think like a woman as best I can. Harry Headbutt, my villainous Hulk, is pretty easy: loud and dumb. But when I voiced my barber Lash, the audio file sounded like just plain old me. Lash should stand out, he is a character in real life. So I roughed up my voice and re-recorded those parts. Avoid external noise! I was at my cousin’s home (house/doggie sitting), upstairs, doors and windows closed. It got warm. But I did not plug in my laptop cooling fan. I had to stop at airplanes flying over, leaf blowers, and my cousin’s littlest dog barking (see above advice). No internal noise! 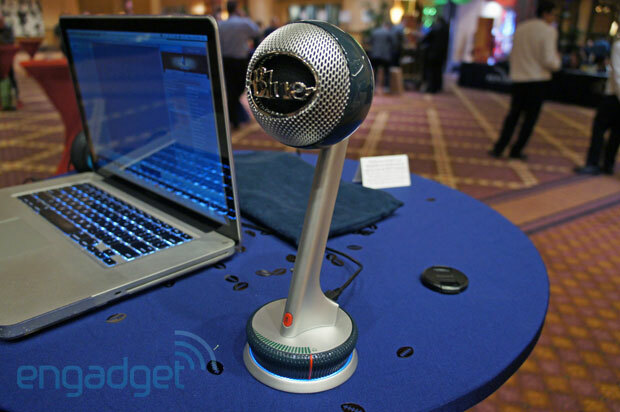 Even with a good mic, you can get buzzing if you do not place the mic in just the right position. That can mean moving around the room, moving the computer, and moving the USB and headphone cables. Monitor yourself by wearing headphones and making sure there is no static. At all. NO BUZZ! I made the mistake of letting some buzz into a few of the recordings; I might have to redo them if I ever send them to Audible.com. Music makes fun! I added clips from Al Fabrizio album Serenata Italiana (he makes beautiful mandolin music), and from Kevin MacLeod (incompetech.com), who makes great royalty free background music. I am often told I am a good performer, but adding the right background music makes an audio story sing. Use quality CDs! I tries Staples CDs. Ugh, sometimes they would not verify after my computer burned them. I bought Verbatim CDs instead. Worked perfectly. I have more to learn. And I have to post these audio files (soundcloud, anyone?). Or bits of them. 45 minutes per story is a LOT of blabbing! The double-talk generator canna take no more! I do not have my blog posts for my audio stories or a fellow writer’s review of my Kindle story ready yet. So here is something I have been putting together: a list of plot devices in science fiction / fantasy movies that overload the human brain’s double-talk generator. Star Trek J.J. Abrams reboot: Making long-range transporters. Why would you need starships when you can just beam from planet to planet? 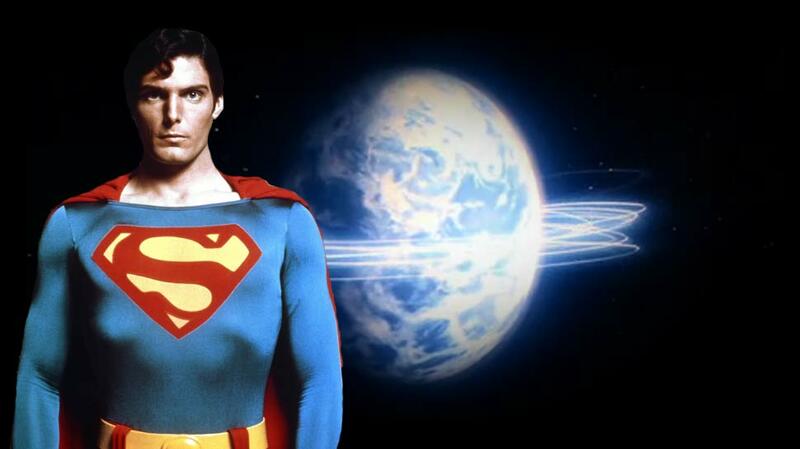 Christopher Reed’s first Superman movie: Superman going back in time. Trouble starts? Just go back in time and undo it! And if it does not undo right, just go back and undo it again! There is a can of worms if there ever was one. In the UFO tv show: A rocket probe (chemically fueled, not even a warp drive!) follows one of the evil UFOs to its home planet. The probe finally sees that wretched planet of scum and villainy, but us Earthlings still do not know where the planet is because it could be a tiny planet up close, or a big planet far away. THAT! IS!! SO!!!STUPID!!!! The aliens are humanoid and human-sized, and thus came from a planet about Earth-sized. Otherwise, the aliens would have skinny limbs like bugs (small planet) or thick limbs like elephants (big planet). Learn the square-cube law! In Starship Troopers: the aliens throw rocks at Earth from another star system. I covered this stellar stupidity already. Armageddon: Ben Affleck said it best, why train oil drillers to be astronauts when you can train astronauts to be oil drillers? And you cannot blow up an asteroid the size of Texas because then you will get a whole lot of pieces that will clobber humanity like just one such rock wiped out the dinosaurs. Just knock the big rock off-course, dummy! The Matrix: Human bodies make lousy batteries, you’d spend more energy feeding them than draining their meager heat. The original scripts had all those human brains networked to form a big Matrix computer, but some Hollywood jerk thought that was too complicated. Did you notice how they had to say that the machines added fusion power to human warm body power? People understand fusion, but not networks? The Day After Tomorrow: Global warming is real, but it can’t turn New York City into a giant ice cube in less than a minute. Waterworld and 2012 (two for one! ): Even after you melt every ice cap on Earth (which WILL make oceans rise since lots of ice caps are on land masses and not floating in the ocean, you denial dum-dums! ), there is not enough water in the world to flood all the continents. Transformers, Revenge of the Fallen: Roger Ebert said it best: “You cannot outrun an explosion.” Just ask Bruce Banner.